Waste Management 101: What Is Medical Waste and Who Regulates It? Regulated medical waste (RMW), also known as biohazardous waste or infectious medical waste, is the portion of the wastestream that may be contaminated by blood, body fluids or other potentially infectious materials (OPIM), thus posing a significant risk of transmitting infection. 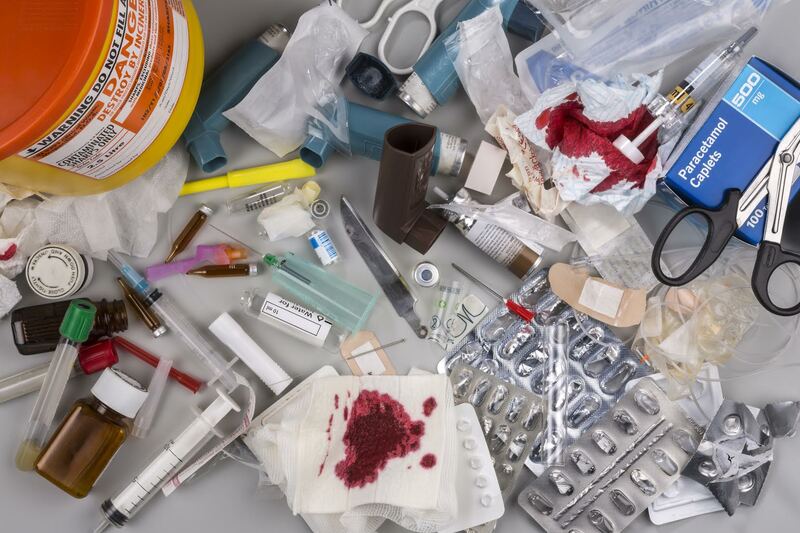 For healthcare facilities, the majority of medical waste generated is from gauze or sharps (needles, scalpels and pipets), and contrary to common belief, human or animal parts are rarely discarded as medical waste. In a healthcare or lab setting, human and animal tissue are considered pathological medical waste that must be incinerated, gasified or chemically digested. Luckily, these waste streams make up less than 5 percent of the total medical waste generated. Department of Labor (DOL); with many regulations occurring through Occupational Safety & Health Administration’s (OSHA) Bloodborne Pathogen Standards. Centers for Disease Control & Prevention (CDC) in regards to infection control and prevention. Department of Transportation (DOT) in regards to safe packaging handling and shipping of RMW materials. Food and Drug Administration (FDA) To a lesser extent, the FDA has some oversight when it comes to approved sharps collection containers in the clinical setting. In addition to federal agencies, many of the regulations with which Healthcare facilities and medical waste generators must comply are state and local regulatory agencies. This includes state public health and sanitary codes, as well some state environmental agencies. For example, in the state of Massachusetts, the Department of Environmental Protection (DEP) has very specific laws in regards to documentation and transportation of medical waste, and the state sanitary code requires that generators have at least one medical waste pickup per year to comply with laws limiting the amount of time infectious waste can be stored for. As a waste generator, your organization is legally responsible for the proper disposal of medical waste. However, a reputable waste management company will understand the specific requirements at the local and state level, relieving much of the burden for healthcare facility managers. Be sure to follow United Medical Waste for more detailed information, such as state specific requirements for managing medical waste. Also, feel free to contact us anytime with questions.